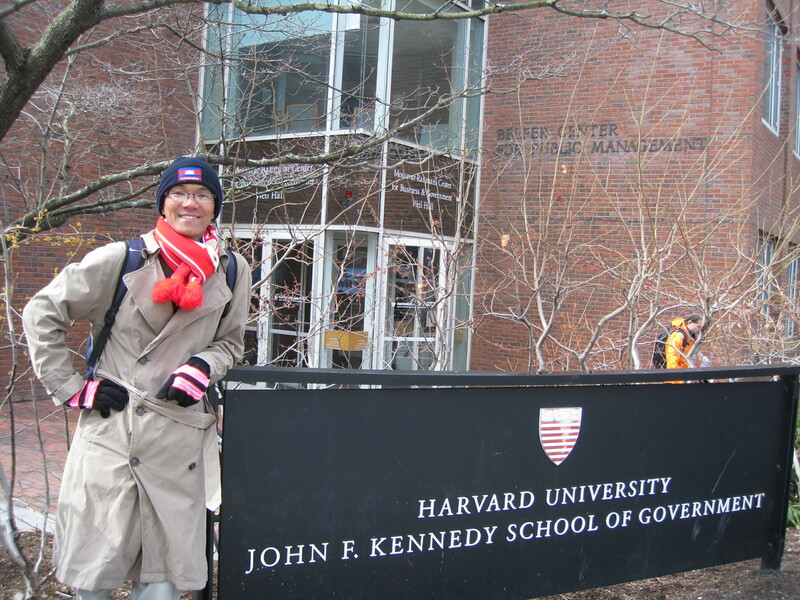 Harvard university, Massachusetts, USA, 2010. 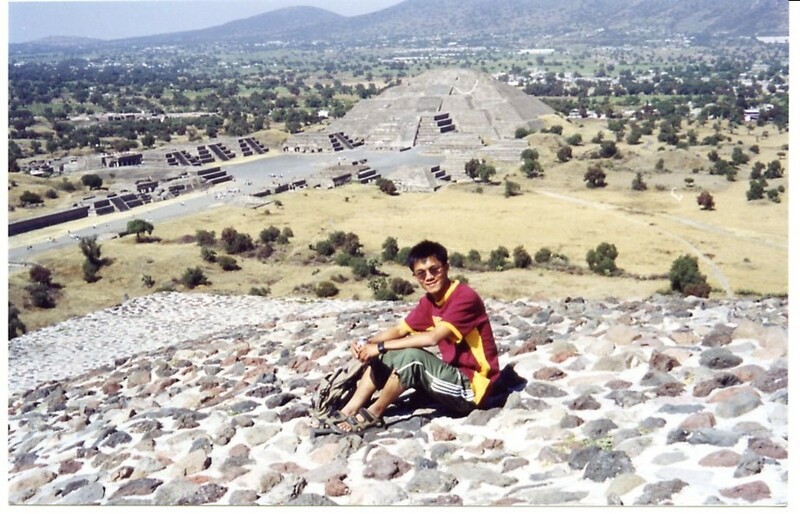 Desiring to see our youths experience life abroad by signing up for formal education or field trips without spending too much money of their own, Mr. Tong Soprach, a well-known social affairs columnist and analyst, has shared with us his experience of the many trips he has taken to countries in Asia, America and Europe. 2. Show seriousness and full potential in your work: Currently, Mr. Soprach is a well-known social affairs researcher and analyst, whose columns have been published regularly on the Phnom Penh Post’s Khmer Edition. He has also done extensive research on the social impacts of Valentine’s Day, which gave him the opportunity to showcase his work to the public. 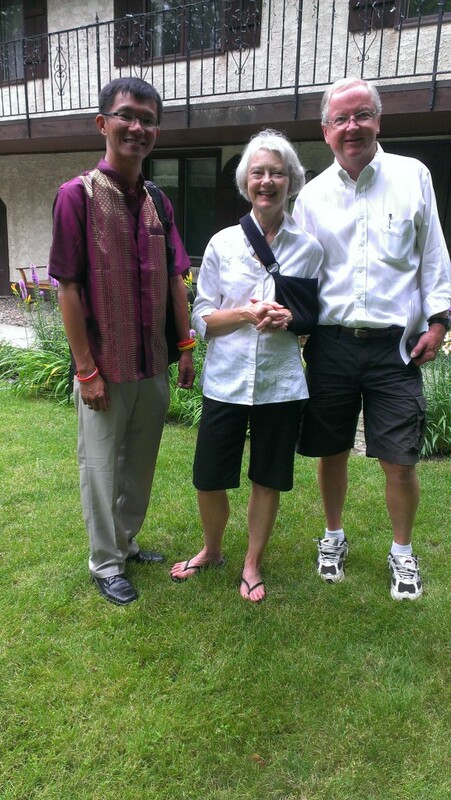 In 2012, he brought this work to Northern Illinois University and presented it at a conference. This opportunity was the fruit of his effort and full potential. 3. Save up money: Of course, not all the exchange programs are fully paid for by the sponsor. Sometimes, participants are required to pay for their plane tickets and/or their stays. For example, when Mr. Soprach took his first trip abroad [to Thailand then] in 2003, he had pay for it himself; however, this trip gave him his first experience abroad and a chance to meet other participants from ASEAN country members. Besides, he had to pay the airfare when he went on an international conference trip to the United Kingdom in 2006 although the sponsor covered his registration fee and his accommodation was taken care of by his friends and relatives. 4. Do not depend on the institution: Whichever institution you work for or study at, you do not have to wait for permission or orders from your boss or teacher to apply for a trip abroad. You have to decide for yourself, regardless of whether it is a long or short trip. Mr. Soprach has claimed that if you wait for your boss or teacher to tell you whether to apply, you would only be allowed to go to neighboring countries while your boss or his close henchmen get to visit developed countries. Accordingly, Mr. Soprach actively searches for information of on international short courses, which he thinks can improve his work, from his colleagues, acquaintances and the Internet. 5. Establish and maintain relationships with people internationally: Mr. Soprach said that we might learn about exchange programs from one of our friends [international participants] or acquaintances. In addition, knowing many people will also assist you in prolonging your stay. For example, these friends can bring you to many places that you have wanted to go or never been before. This means that we will not have to spend much during our stay, only paying for meals sometimes. 6. Have the culture of sharing knowledge: Every time he is back from the trip, he always shares what he learned from it through his columns/research reports. Doing so, he claims, could enhance the popularity of his work, giving him opportunities to join upcoming events and trips. So far, Mr. Soprach has been invited to and nominated to attend many conferences such as that of the International Visitor Leadership Program [Youth and Conflict Resolution] in the United States, the international conference on Women and Leaderships in India, ASEAN training courses and a conference about regionalism. One of the interesting things about Mr. Tong Soprach is that he always applies to extend his stay, no matter whether he is in Asia or Europe. For instance, in his recent trip to the United State, he extended his stay from three to five weeks. Since he has a few friends there, he did not experience much hardship with his stay and meals. Through these trips, Mr. Soprach has learnt a lot. He has visited many famous universities of the U.S and U.K including Harvard, MIT, Yale, Columbia, UCLA, UC Berkeley, Cambridge, Oxford and so on, as well as other world wonders and fascinating places such as Eiffel Tower, Mont Saint Michel, the Colosseum, the Taj Mahal, Pyramid Moon and Sun, London Tower, Brandenburg Gate, Venice, the Twin Towers, the Statue of liberty, the White House, the Capitol, the Golden Gate Bridge, Yellow Stone National Park, the Carlsbad Caverns, just to name a few. 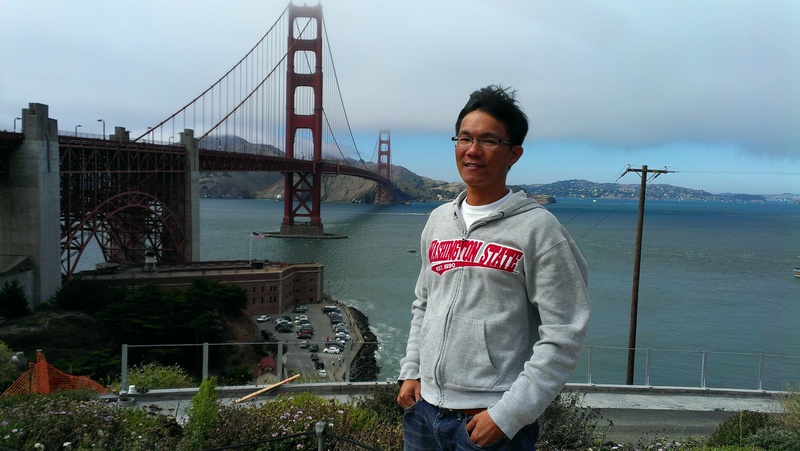 Prolonging his stay helps him expand his scope of relationship to a place and know more people, which is very important for future trips. Of course, prolonging your stay means you will face extra expenditure. Nevertheless, Mr. Soprach explained that he preferred spending money on those trips to spending money on electronic devices and gadgets. This is also the reason why he decided to quit his job temporarily or refuse certain work opportunities, just to spend time abroad. 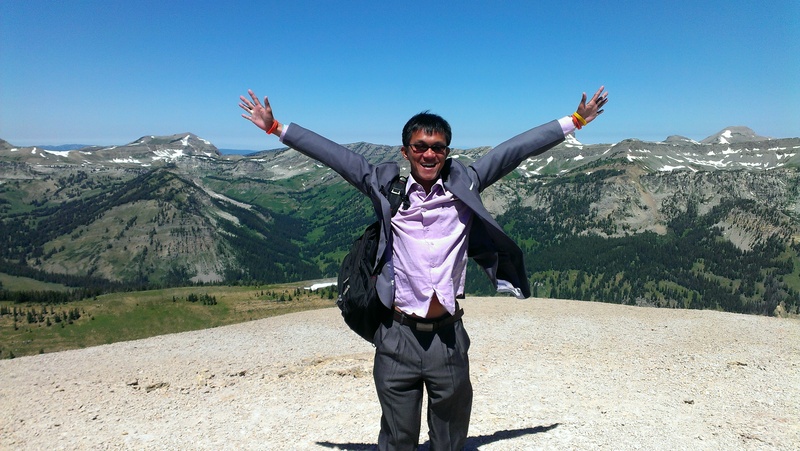 Mr. Tong Soprach said that the trips help us look better to the outside world and compare our country to the others. We can also learn from the other participants, sharing experiences with one another, in order to fulfill our dreams. When we fulfill one dream, it motivates us to fulfill another. These trips could enable us to better formulate strategies in our daily work lives. The trips abroad will also improve our confidence in national and international debates. They may make it easier to obtain our next visa as well. 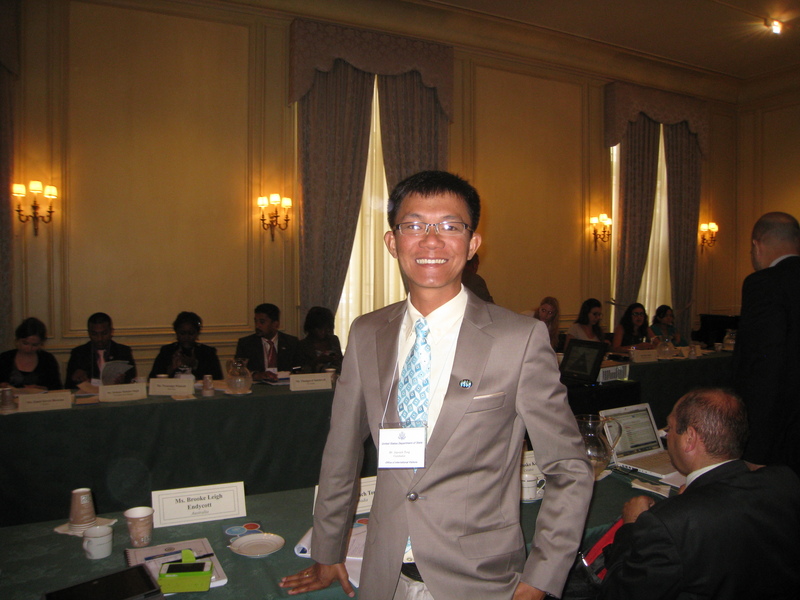 Between 2003 and 2014, Mr. Tong Soprach has been to about twenty countries in Asia, Europe, and America. His latest trip was in August to the USA, and next month he will be traveling to Bangkok, Thailand from 15th to 21st November to participate in a course on Youth Engagement and Gender Responsive Advocacy at the invitation of UNWOMEN/UNFPA. #IVLP, Meridian International Center, Washington DC, USA, 2014. 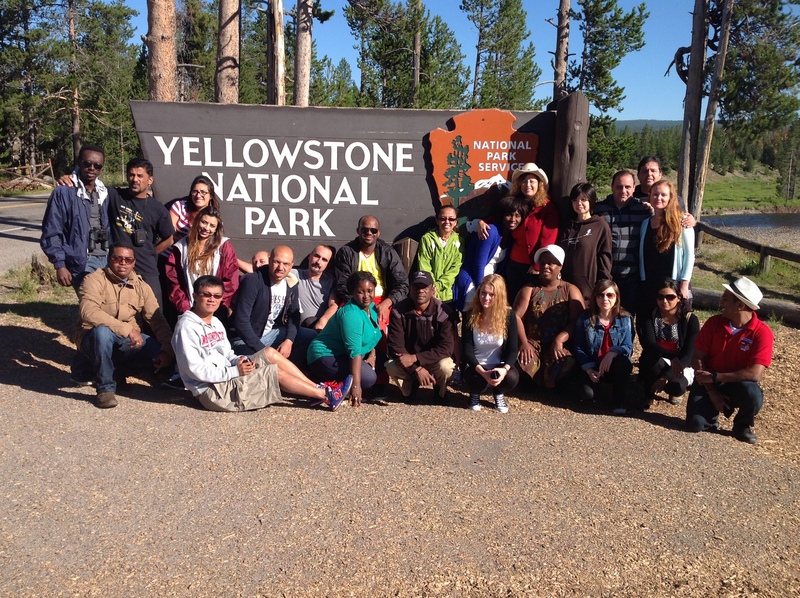 #IVLP, Yellowstone National Park, Wyoming, USA, 2014. 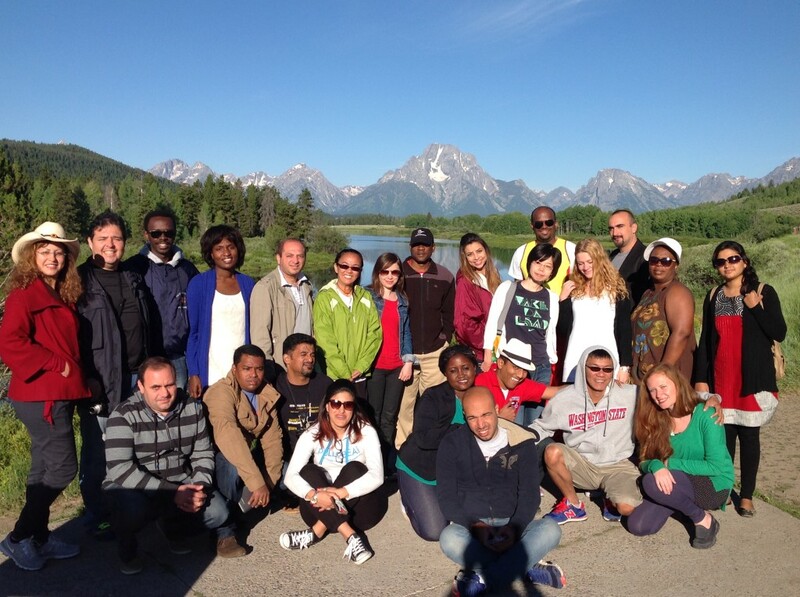 #IVLP, Jackson Hole, Wyoming, USA, 2014. 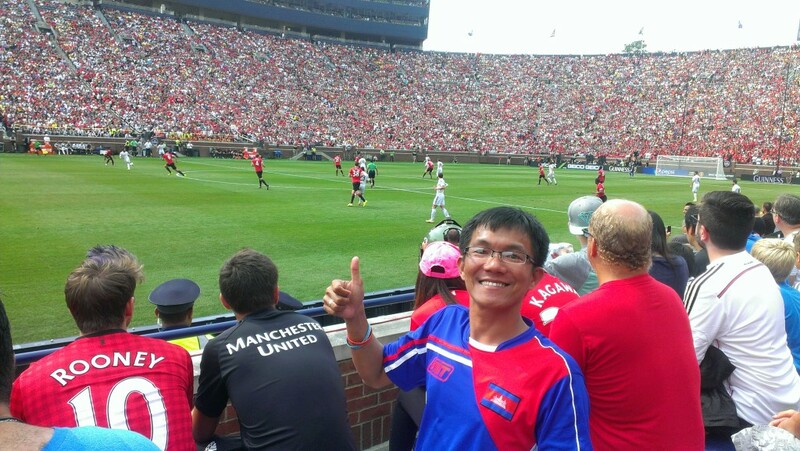 Chevrolet cup: Real Madrid Vs Manchester United, Michigan, USA, August 2, 2014. Break world soccer record: 109,318 attendants. Golden Gate bridge in San Francisco, California, USA, 2014. 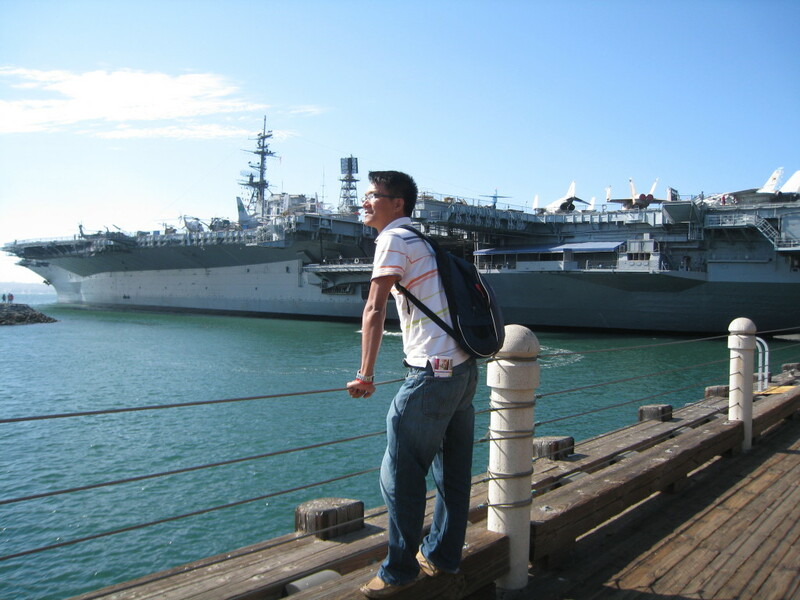 Visited Navy Marines Base in San Diego, USA, 2012. 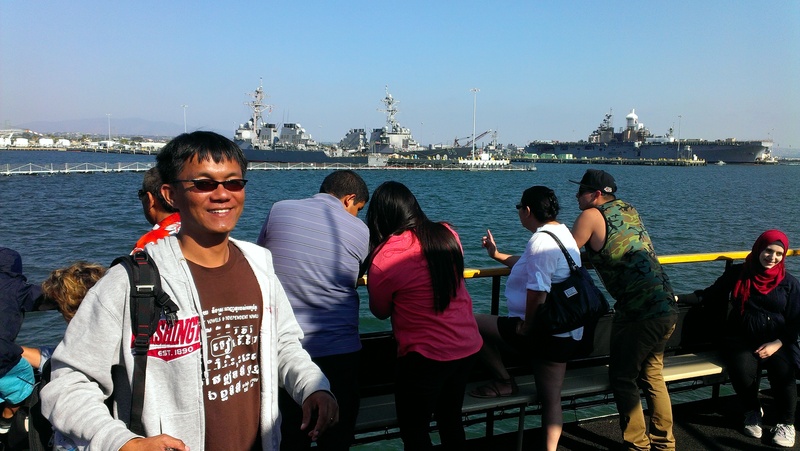 Navy Marines Cruise in San Diego, USA, 2014. Americans hospitality at Joel and Marta’s house, Minnesota, USA, 2014. 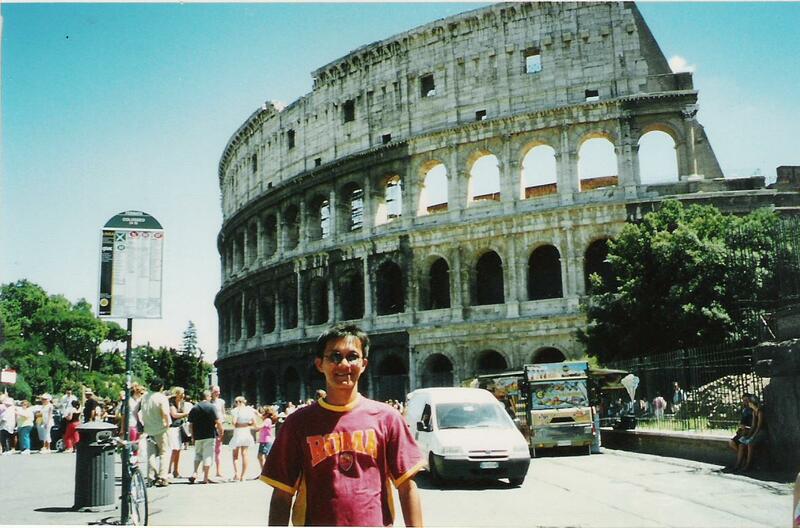 At Colosseum, Rome, Italy, 2005. 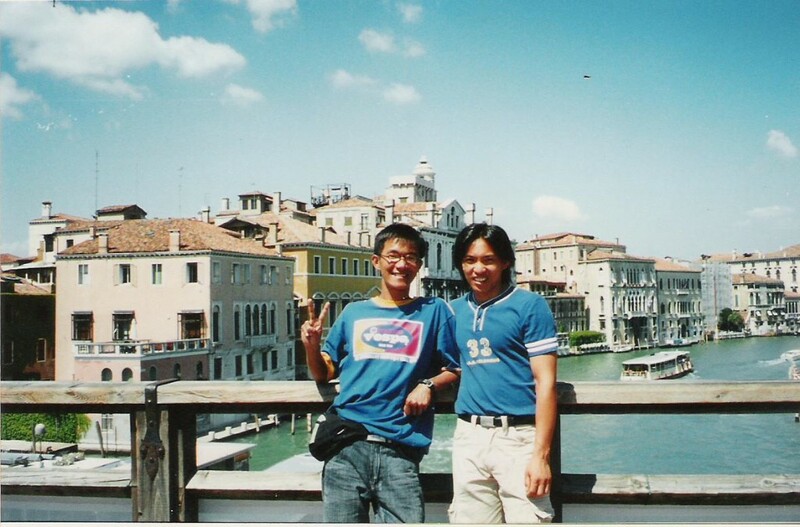 With my former classmate Mao Meng took me around Venice, Italy, 2005. 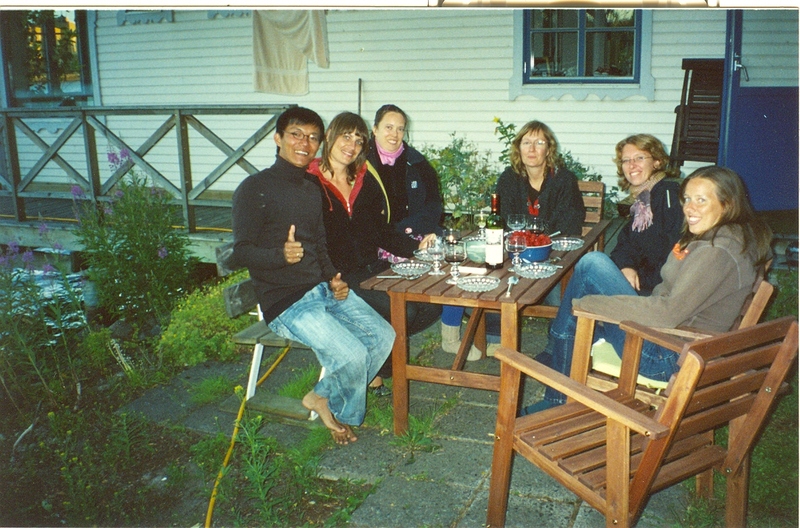 With my Swedish friends in Stockholm, Sweden, 2006. ASEAN Journalists training, Singapore, 2013. Next Post Why is the approximately 17 million dollar budget for the district / municipal level underspent ?